Outside of our scheduled cruises, OSL also plans and guides custom cruises and tours for groups of six or more. 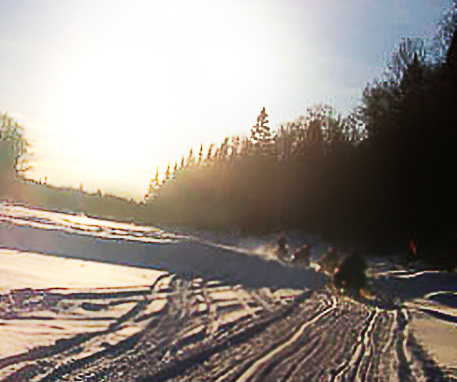 You can either rent or bring your own snowmobile clothing, helmets, and snowmobiles. For more than 28 years, we have ensured safety while preserving the fun of the trip, delivering the highest levels of customer service available. We're proud to customize tours to meet the needs of our wide-ranging client base. 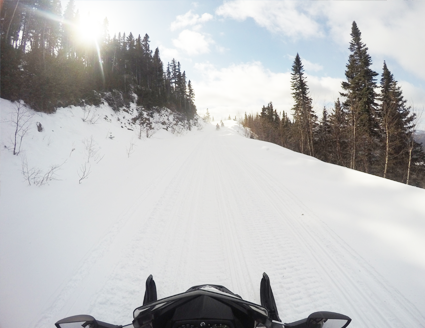 In order to ensure the highest quality each tour, we limit the number of snowmobiles allowed. When you plan your customized tour, please remember that the number of allowed vehicles may change based on the trip specifications you request. 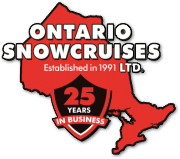 Snowmobiles can be rented from us with a $2,000 CDN deposit and a daily rate of $250 CDN. OSL reserves the right to modify, alter, or cancel all or part of a tour without prior notice to the customer. If a tour is cancelled, all monies paid to OSL will be refunded in full, and this refund will be considered full and final settlement.